You know what they say, no one gets it all, so you have to go back to spots that you’ve previously detected. That’s what I have done a few times recently. Over the years I’ve learned new metal detecting techniques, and have been going back to spots that I suspect still have good targets to find. On one recent hunt, while using my Minelab CTX 3030 this little junker ring sounded good enough to dig. It’s tiny and plated, but it fits my 7 yr old daughter, so she likes it, a win win for me haha. A couple of years back I detected at a spot and found more than a few silver coins there. I am purposely being vague about the particular spot, but, I did find multiple silvers there on a couple of occasions. So, I decided to go back there with my 3030 and see if it could sniff out more silver. On the opposite side of where I had found silver previously, I was able to find this 1952 Washington quarter in with a beaver tail tab. It was a mixed tone but I was fairly certain a coin was under the coil, and there was. I decided to go back to another previously detected spot where I found the 1947 Walking Liberty Half Dollar recently and try my luck again. While wading through all of the junk targets an interesting tone caught my attention. Just a few inches down I saw this ring. It has an interesting setting and definitely sparkles in the light, but alas it’s just a junker. It just goes to show ya that no one gets it all and you can still find the goodies at your previously detected spots, so go back and see what you missed…you may be surprised! This entry was posted in Arkansas Metal Detecting, CTX3030 Metal Detector, Metal Detecting, Metal Detecting Finds, Minelab CTX3030 Metal Detector, Silver Coins and tagged arkansas metal detecting, metal detecting, metal detecting blog, metal detecting blogs, Metal Detecting Finds, Minelab CTX 3030, Minelab CTX3030 Metal Detector, Rings found Metal Detecting, silver coins, Silver Quarter & Rings found Metal Detecting, Silver Quarter found Metal Detecting. Bookmark the permalink. Thanks so much for your article and the pictures as well. I’ve just begun metal detecting and if a person could he rich from old nails I would be a rival of bill gates. Very smart being evasive in regards to your secret spot. Please keep your articles and pictures coming. Hi Mike! I hear ya about the nails! It’s just part of it, eventually you’ll learn ways to dig less nails.. it’s all part of the process. 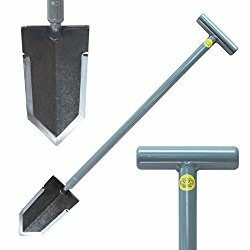 What metal detector are you currently using? Thanks for the comment and checking out my blog! An entry level bounty hunter. It’s fun. Can’t wait to find something awesome.